Make not just a tool but a weapon to kill the other person with your glamours looks. 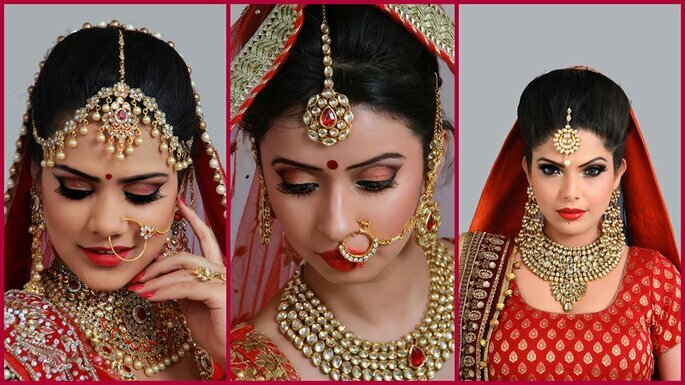 Choose from these top best wedding makeup artists from Jaipur to help you look your best. 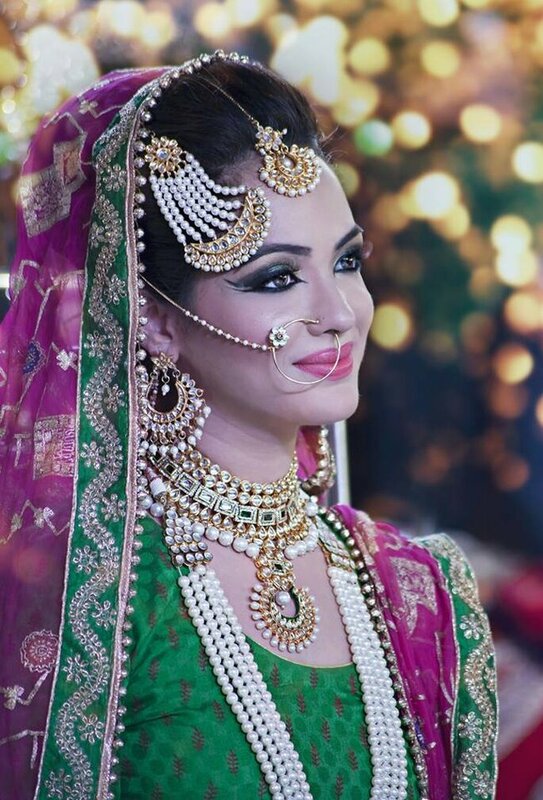 There has always been a saying that “Inner beauty matters much more than the outer beauty” and it is very true also,.. but-but there is also a saying that “A woman should look her best on her wedding day”. So as you are already beautiful from inside it’s time to get much more beautiful from outside. Makeup is a crucial aspect of a woman’s presentation and it needs to be perfect on your wedding day. 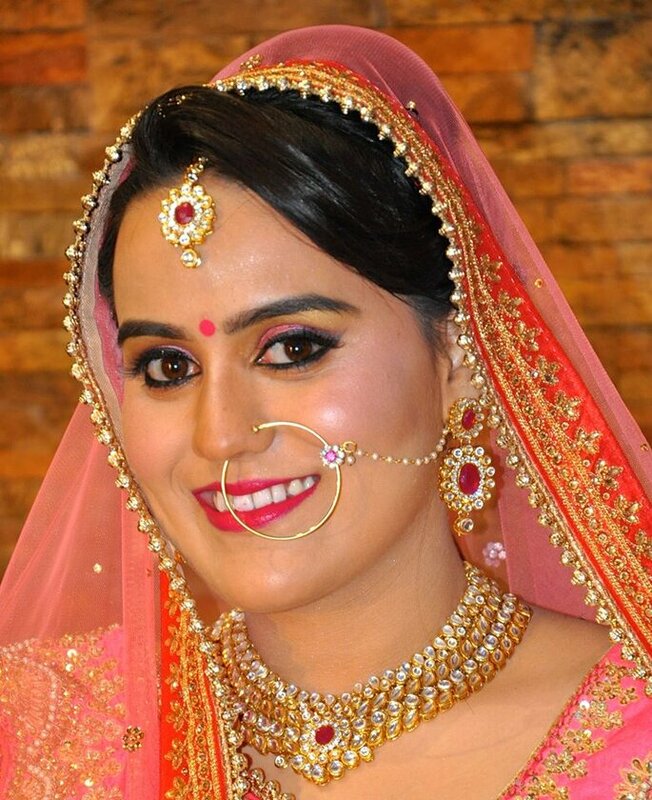 So here is the top makeup artist from Jaipur to make you look even more beautiful. A Ritu Deswal creation Style N Scissors was started way back in 2003. .It was fueled by her unconditional hard work and passion. Started with the support of 6 team members which has now multiplied to more than 150 skilled team members to which she consider’s as her personal strength. Sanjeev the creative director has also given the same amount of time to this institution and has nurtured it and established himself as a successful stylist. With their legendary spotlight customer service and creativity, quality and consistency; they want to push the boundaries of hairdressing and beauty services. 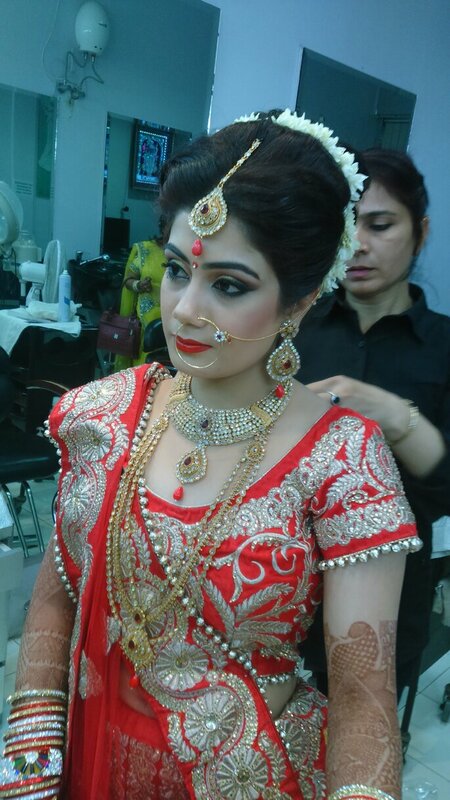 Making their customers happy with top class service and making brides look flawless is what they believe in. For Arneeb makeup has never been a job it’s a passion and to live your passion is the dream of many. She believes that every woman is beautiful in her own way. Sometimes it’s not about just concealing a face its way beyond it. She believes in bringing out the ever present beauty in her clients- Enhancing beauty, one face at a time. They achieve all this by their diverse and wide variety of services. 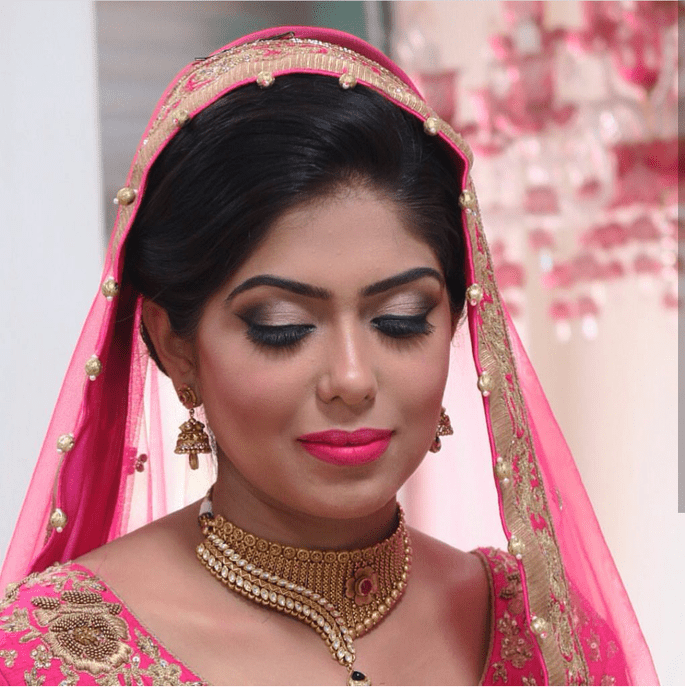 She can give you your best look for almost every occasion from Bridal makeup, Party makeup to Fashion makeup and one can also learn the tricks of makeup from her. Photo: Arneeb Malik- Makeup Artist. 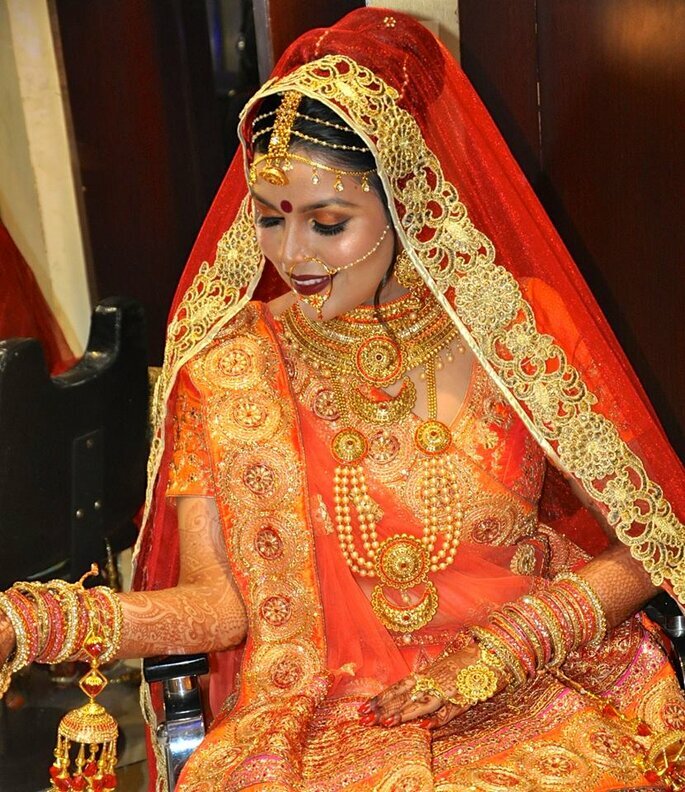 Vashika is a professional makeup artist and hair stylist who is been in this field of makeup from 2007. She has done makeups of many professional models for photo shoots and ramp walks. She also has a team of professional fashion photographers, Stylists, Makeup artists, Hair-dresser. 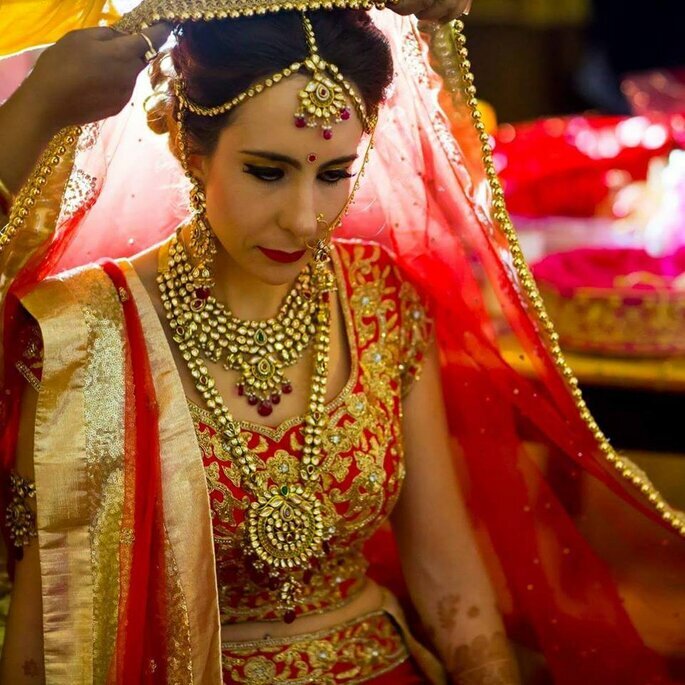 She is been doing the job of making brides look elegant, beautiful and gorgeous for a quite long time and she wants to keep doing that job of making those many brides smile with confidence. 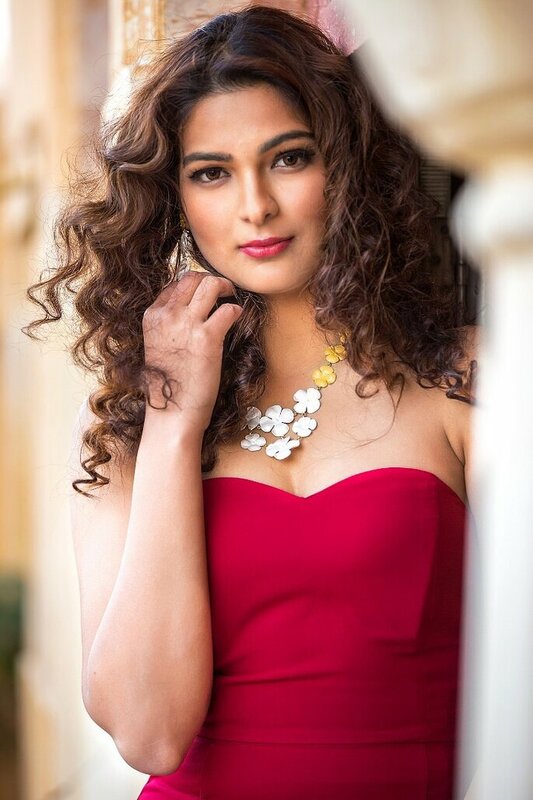 Photo: Vashika Sethi Makeup Artist. Sondaryam was founded by Satyendra Parnami in the year of 2006. Sondaryam is the leading chain of salons in Rajasthan, offering Salon, Spa and Academy services. The brand was incepted in the year 2012 with Adarsh Nagar Branch and over the years, they have grown from one branch to three branches at present. This has been possible only because of the faith reposed in their services by their prestigious clients. The entire management & staff of Sondaryam heartily thanks all their clients for their support and encouragement. You can always be rest assured that they are continuously striving to provide you the best of services always. The World Of Whole Beauty escape into a world of total comfort, relaxation, rejuvenation and treat yourself to a luxurious experience at Sondaryam. Indulge yourself with a unique cut, style, or color for your hair. 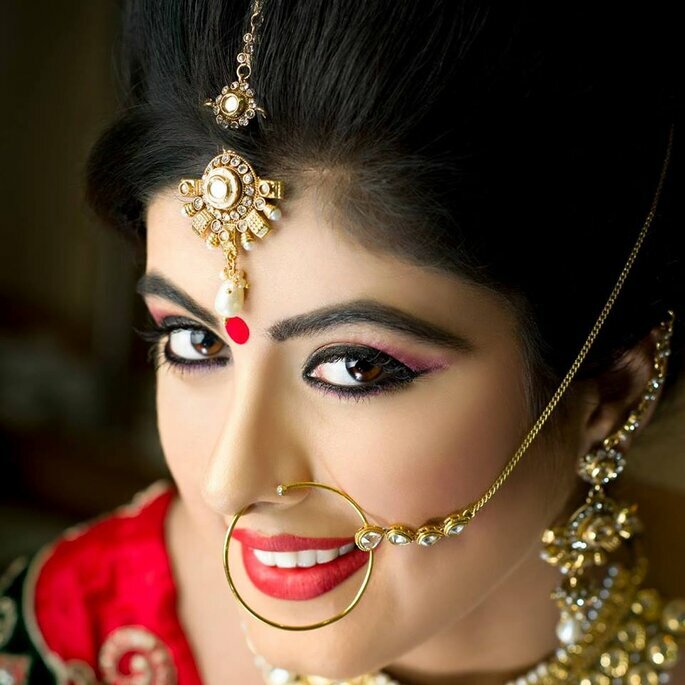 Sundra Bains is an award winning makeup artist with experience of more than 27 years in this beauty industry. She is been certified by top beauty institutes and international associations. She is a passionate promoter of owner driven beauty salons & spas with numerous affiliations. 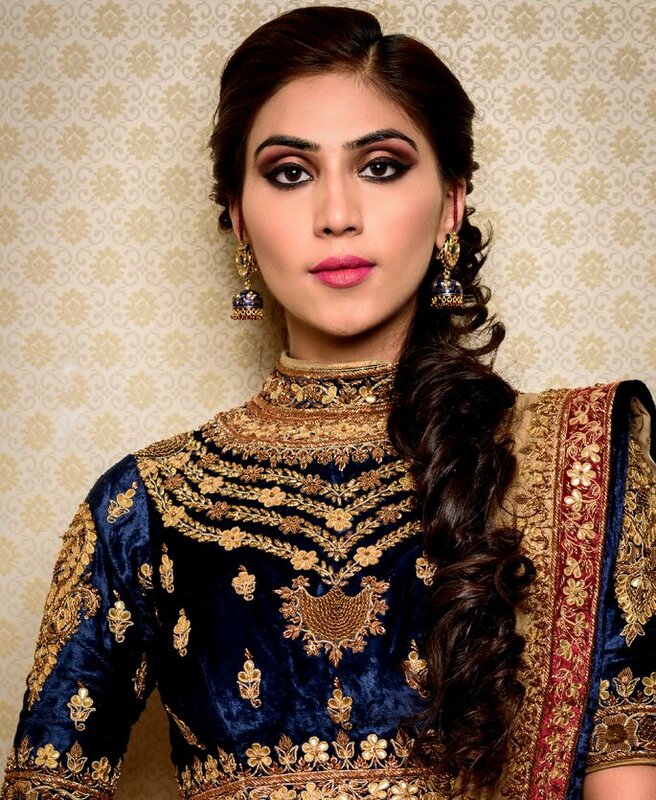 Making women look absolutely gorgeous is what her only motive is and that she helps every bride look much more confident and ready to rock her wedding. 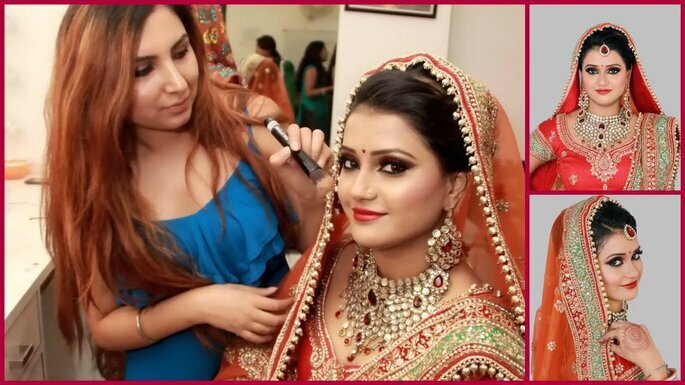 Fiza’s journey of becoming freelance makeup artist came from a genuine personal interest. Her passion lies in creating unique and distinctive looks for her clients by emphasizing the natural beauty in each individual face. She has a vast experience of more than 11 years in this industry. Finding the perfect makeup style for her clients, whether the event calls for simply natural or dramatic, is always her priority. Being a professional she focuses on providing a premium, detail oriented and distinctively creative service. She guarantees the use of latest tech and highest quality products like Krylon, MAC, Oriflame, etc. to sustainability, longevity and the flawless result achievable. She believes “Makeup is an avenue for self-expression and its possibilities are endless”. Kajal Jaiman has been a very famous name in the industry and especially in Jaipur. She has been doing the task of making a woman look beautiful and elegant from a long time and has the best quality of products that will only make you feel comfortable. She makes sure that the service to her clients should be on time and according to their face and skin type. Making people look more beautiful is not an easy task and she is a master in it. Photo: Kajal Jaiman Make Artist. 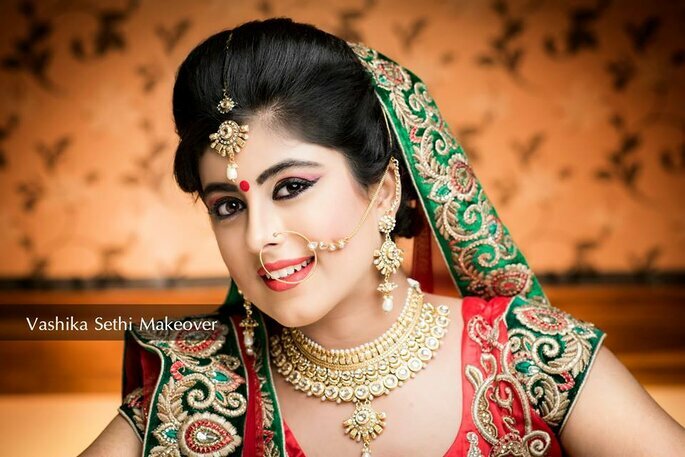 Oshin Beauty salon is been a consistent performer in the field of makeup and has never let their clients down. They have been very dedicated and hardworking towards their job and have made their clients happy. They use the best in technology and products so that the brides to be can look absolutely stunning on their wedding and elegant like never before. They have a big name in Jaipur and will continue to make their customers their priority and give them a service that they expect from professionals. Enhancing your features so you look like yourself at your most radiant is what they believe in. On your wedding day, you want that you look the best, you want to make sure that everyone not only likes but loves your attire and the makeup will give that finishing and elegant touch to your look.